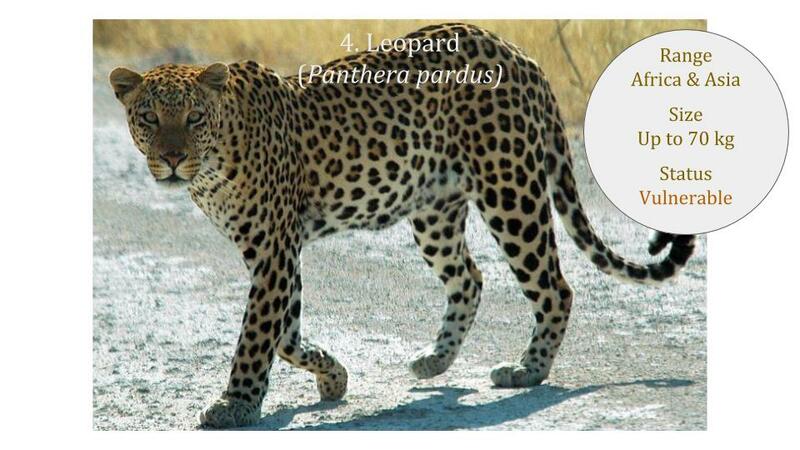 The Panthera lineage consists of seven cats, five of which are the largest in the cat family. The first four big cats in the Panthera genus are the only wild cats that have the ability to roar, however they cannot purr like most other cats. 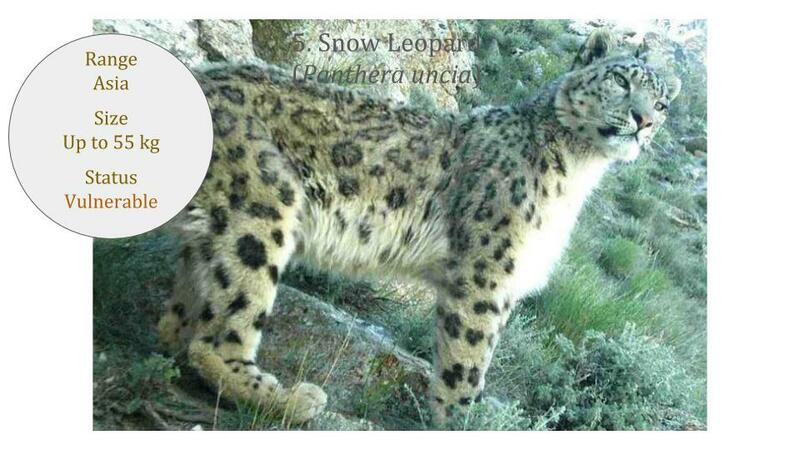 The snow leopard is the big cat exception in this genus that cannot roar. These big cats are also the most endangered due to the loss and fragmentation of their large territories, and wildlife trade in their body parts and beautiful skins. 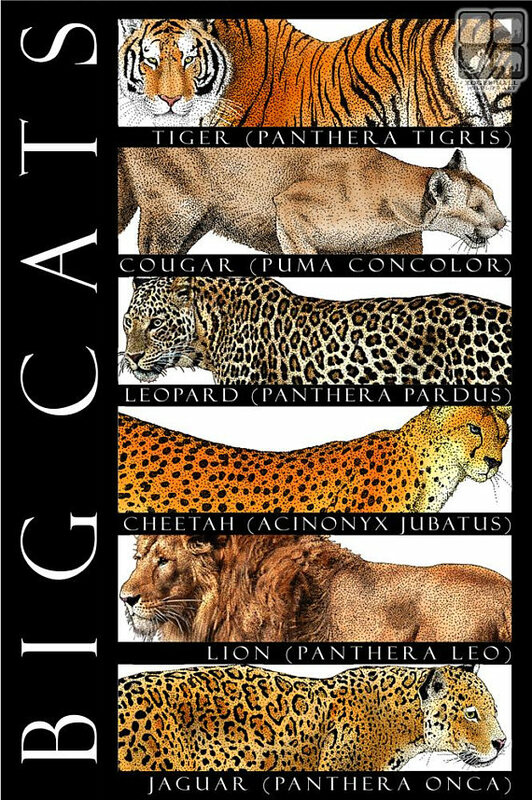 The other large cats, the puma and cheetah, have different characteristics and are classified under the Puma Lineage. 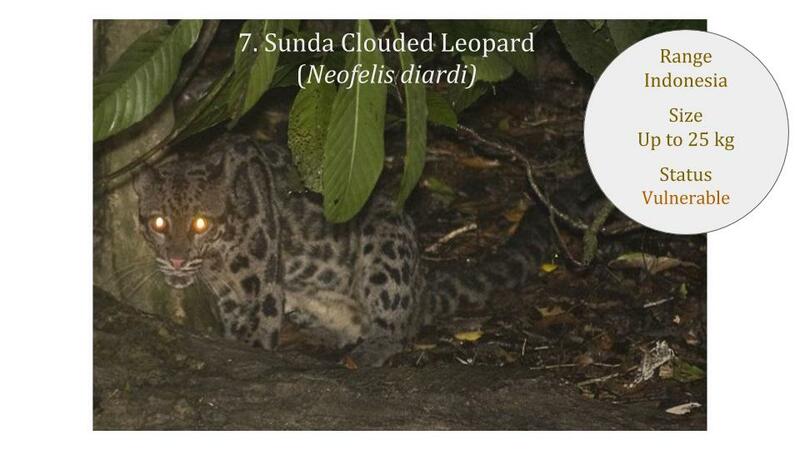 The last common ancestor of modern cats was a species of Pseudaelurus that occurred in Asia 9 to 20 million years ago (MYA). Using genetics scientists have established that modern cats diverged from this ancient species into eight groups or lineages of closely related species in the cat family Felidae. 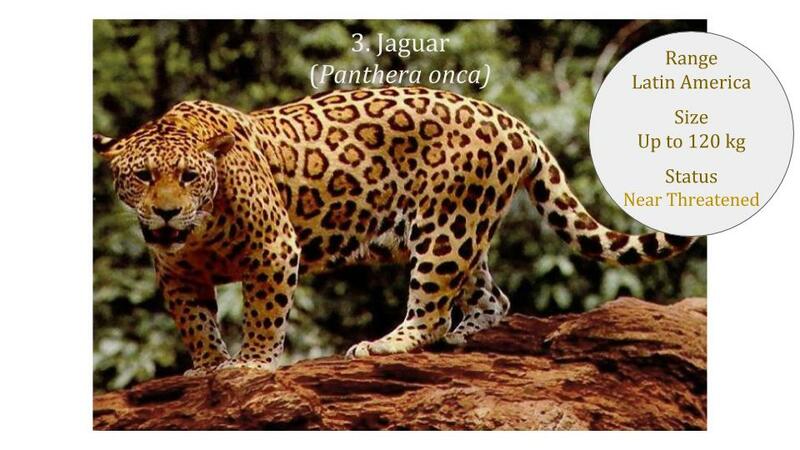 The Panthera lineage of the big roaring cats is the oldest cat lineage that split from this common ancestor 10.8 MYA. Descendants evolved into seven species which occur across all the continents of Asia, North and South America, Europe and Africa as they migrated to and from Asia over time. Reference: O’Brien, J. S. and Johnson, W. E. (2007). The evolution of cats. Scientific American July 2007: 68-75. 1. 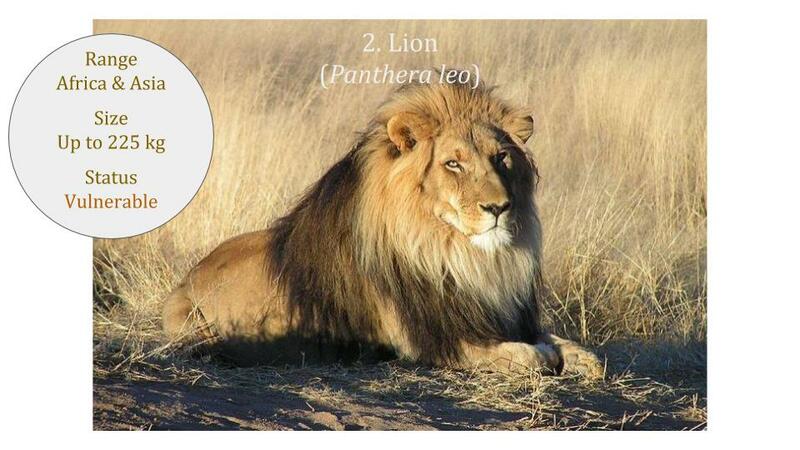 Which continent has the most big cat species? 2. Which continent has no big cat species? 3. 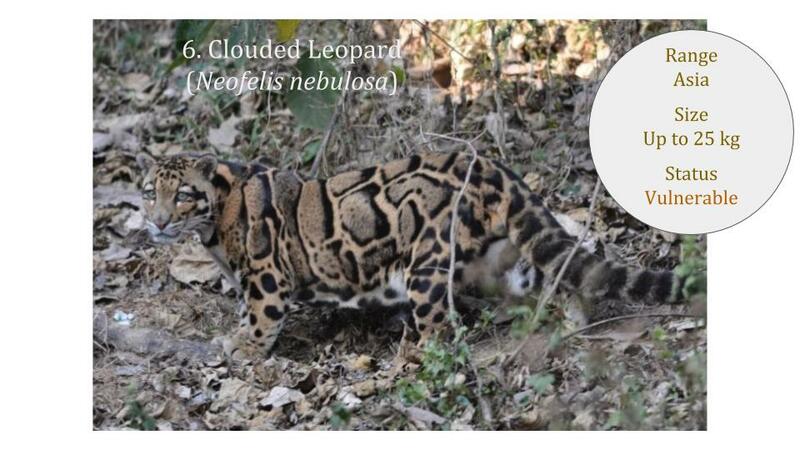 How many times larger is the Lion compared to the Clouded Leopard? 4. 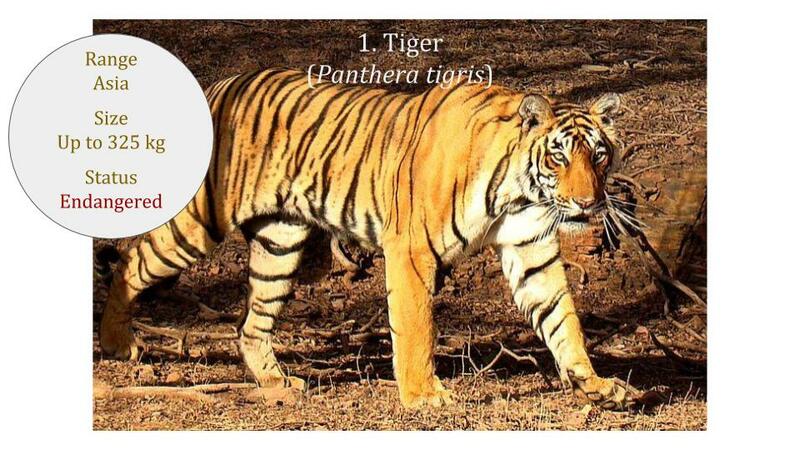 Which two big cat species are at the most risk of becoming extinct? 5. Which big cat is also known as a Panther? 6. Which cat in the Panthera genus cannot roar?